The official lyric video for “House Of Doom”, a brand new song from CANDLEMASS, can be seen below. The tune is the soundtrack of the game with the same name, which was co-designed by the legendary Swedish doom metal band. The “House Of Doom” soundtrack, a new killer doom epic, will be released on May 25 as an EP with three bonus tracks via Napalm Records. A full-length album will be released in the fall. In addition to the regular EP, there will be a 10-inch etched vinyl with an exclusive nine-and-a-half-minute-long version of the song “House Of Doom”. 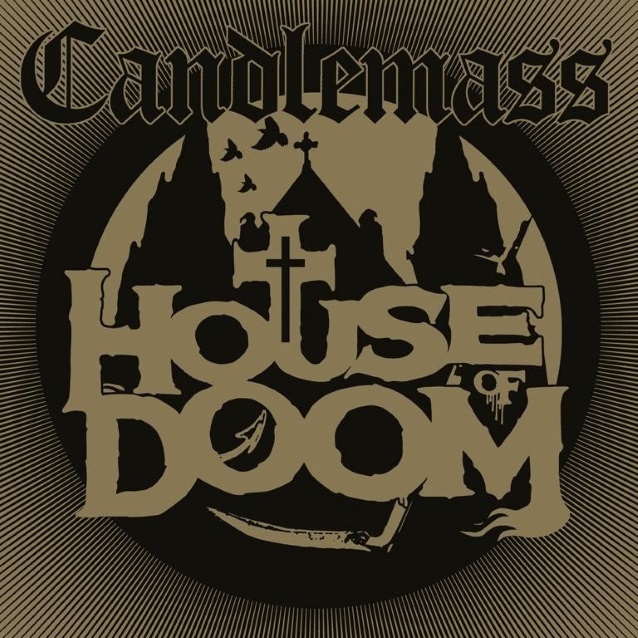 The “House Of Doom” soundtrack was written by CANDLEMASS bassist Leif Edling, produced by Marcus Jidell, mixed by David Castillo and mastered by Maor Appelbaum. CANDLEMASS‘s latest release, “Death Thy Lover”, came out in 2016 as CANDLEMASS‘s special 30th-anniversary EP. The four-track effort featured singer Mats Levén, who joined CANDLEMASS in 2012 following the departure of Robert Lowe.